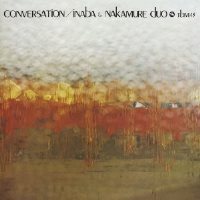 Conversation is a beautiful duo album by bassist Kunimitsu Inaba and guitarist Sadanori Nakamure. They had played together in a duo setting for a while before this recording took place and were able to develop their mutual style and musical empathy. Playing well-known standards without flashy arrangements or any kind of gimmick, the performances are full of subtle beauty, flowing ideas and fulfilling musical conversation. The beauty of the sound each musician produces on this album is also exceptional. This is a fantastic duo album that is worthy of being compared to the classic album Alone Together by Jim Hall and Ron Carter! Produced by Takeshi Fujii. Recorded at Aoi Studio, Tokyo on April 5, 1975. Blu-spec CD is compatible with all regular CD players. Paper sleeve special limited edition.